Caves Messias is a historic family owned producer renowned for their colheita and vintage ports. They have an extensive back catalogue of rare and sought after vintages. Founded in 1926 by Messias Baptista, the company has remained a family owned until the present day. The most famous estate is Quinta do Cachão which has its adjacent slopes the River Douro, in the subregion Cima Corgo, one of the most inhospitable areas of the Designation of Origin. The vineyard was first planted in 1845 by the Baron Pebble sendomais and later acquired by family Afonso Cabral, who in turn sold it to Messiah family in 1956. In order to increase production capacity, Messias acquired in 1958, another adjoining property, Quinta do Rei, then belonging Gonzales Byass. Blondish colour. Young aromas, fruity and fresh that evolve. Due to oxidation, giving rise to a bouquet that brings out the aromas of dried fruits, aromas of roasting, wood and spices. Soft with harmony and complexity. A very rare bottle of Vintage Port from the good 1965 Vintage - these are the only bottles available in the UK and are a true rarity. Unlike the colheita ports from the same year, this wine has aged in the bottle for nearly 50 years (As opposed to a barrel). It is among the rarest category of ports and is a delight for the port connoisseur. White port, made from a blend of local white Portuguese grapes is a little less intense than a tawny or a ruby and is one of the great summer sun-downers, simpler than fino sherry but just as refreshing! This sweet white port from Messias has a lovely golden colour in the glass and a slight citrus aroma with a hint of wood. Fine and well balanced it is a superb after dinner drink, aperitif or, like they do in Portugal, mix in equal parts to tonic and garnish with a slice of lemon - a refreshing change to G&T. 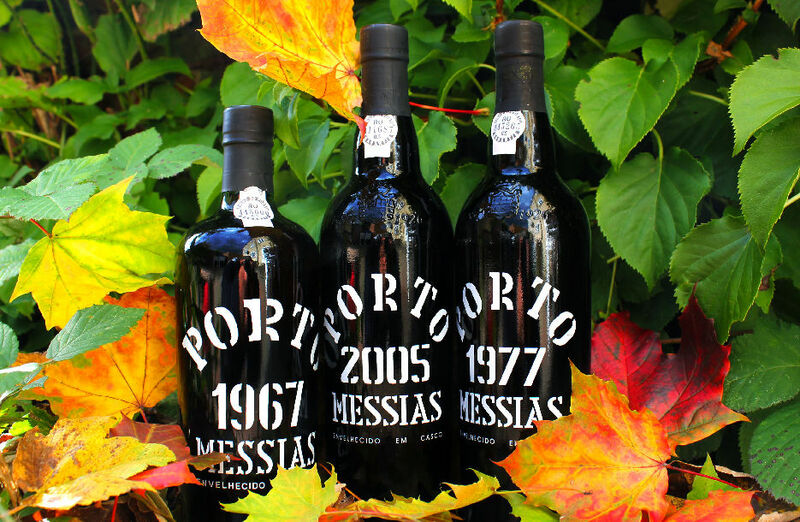 Messias Port comes from the family owned Portuguese company founded in 1926. Messias Ruby Port comes from the family owned Portuguese company founded in 1926. 87 pts CellarTracker - Ruby color. Aromas of ripe red fruits and floral notes. It is delicate, with balanced sweetness and pleasant finish. Inky black in colour this port has a deep concentration of blackberry jam and currant liqueur in this classic dessert wine. This style of port is designed to be consumed early and will not improve with further cellaring.